Revitalizing ginseng, retinol and vitamin c: three vital ingredients for stimulating collagen and elastin production to lessen the appearance of lines, wrinkles, and to increase firmness. Water quenching aloe juice and hyaluronic acid lock in long lasting hydration while rosehip oil softens and improves skin texture. Citrus essential oils of grapefruit and blood orange brighten and energize. Sustainable bamboo cloth is naturally antibacterial. This natural facial mask is free of artificial fragrances, chemical preservatives, harsh detergents and unhealthy, toxic ingredients. 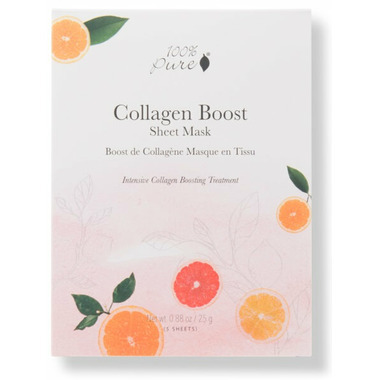 Usage: Unfold and place sheet mask onto clean, freshly washed skin, pressing gently to ensure full contact around eye, nose, and mouth area. Leave on for around 20 minutes. Use excess solution as a serum by massaging into neck and decollete.